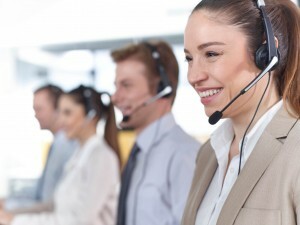 Starting a Call Center or Contact Center | The Taylor Reach Group Inc.
Is organic growth, a new product, service or acquisition resulting in calls swamping the switchboard, customers tracking down the administrative offices to trace an order, emails volumes surging and going unanswered? Whatever the cause most organizations will one day determine that they need a call center or contact center. By being able to direct and centrally manage all call, emails, chats and other channels of communications organizations can realize both financial savings, but also improvements service quality and customer satisfaction. The question is how can you most effectively and efficiently implement a contact center or call center in your organization? The Taylor Reach Can Help. There are more than 800 discrete tasks associated with building a call or contact center. We have assisted thousands of organizations to design, develop and implement call and contact centers. We have developed a proprietary approach to; Accurately size your call center requirements, Identify the telephony and technologies required to support your business activities, and support the research and solution acquisition, Map your business processes impacted by the call or contact center, Identify integrations and links required, Design your call and workflows, Design the physical call/contact center space, Create and organizational design and draft job descriptions, Identify skills required for each role, quality management, workforce management and reporting required to equip the business with the knowledge to make data-driven business decisions related to the call center/contact center and the customers they support.